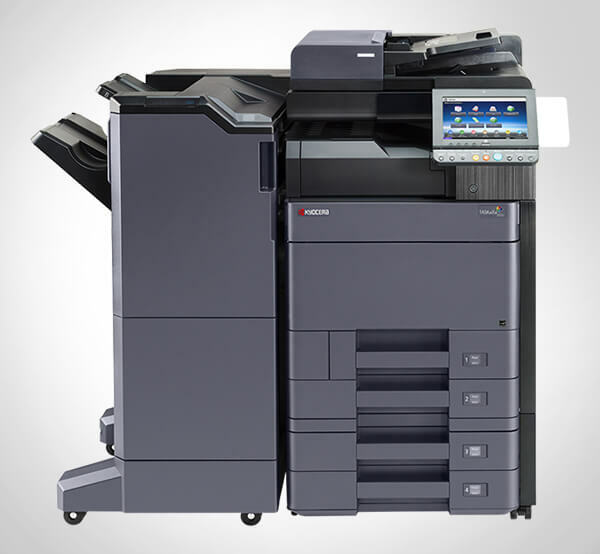 Advanced Office sells, leases, and services Kyocera multifunction devices (also known as MFDs, MFPs, and all-in-one printers/copiers) to businesses throughout San Diego, Orange County, Los Angeles, and the Inland Empire. As a Kyocera Authorized Dealer with over 30 years of experience, we’re able to help businesses of all sizes find cost-effective print and workflow solutions that improve efficiency and lower overhead costs. Our diverse selection of high-quality printers and copiers, competitive prices, and superior customer support have made us the preferred copier sales, leasing, and repair company for more than 30,000 companies throughout Southern California. Kyocera’s long-life, low-waste multifunctional products use award-winning ECOSYS Technology to increase office productivity and turn complex document workflows into simple processes. 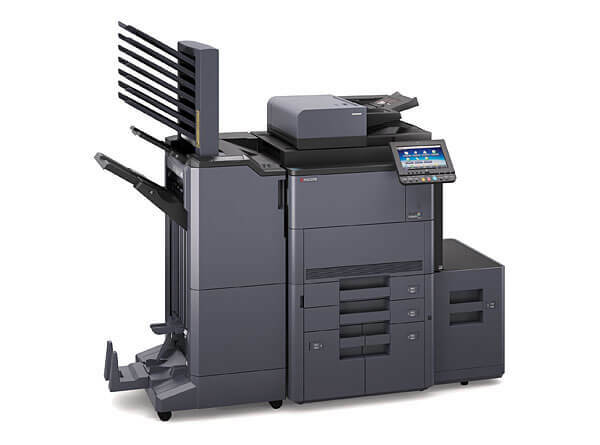 Their TASKalfa line of multifunction devices can be configured to print, copy, scan, and email. Built-in features include duplexing, expandable input trays, user-friendly touch screens, enterprise-level security, and a broad range of finishing options. With their innovative apps and software, you’re able to print from tablets and smartphones, automate tasks, print on-demand, store documents, and more. By leveraging leading-edge technologies, Kyocera copiers minimize environmental impact, and comply with IT environmental regulations and best practices. Contact Advanced Office today to schedule a free onsite consultation. As part of a comprehensive needs analysis, one of our experienced sales consultants will help you identify the best print and document management solutions for your business. In addition, we staff a team of dedicated trainers and IT specialists, who are readily available to provide the ongoing training, support, and maintenance you require. Advanced Office is great they came up with an option that saved us money and allowed us to increase our productivity.